This was an extra-ordinary pilgrimage, additional to the annual summer pilgrimage, to greet the Pope on his visit to the UK at Wembley. Just six walking days, with the last couple very much through the London sprawl, this was definitely different. 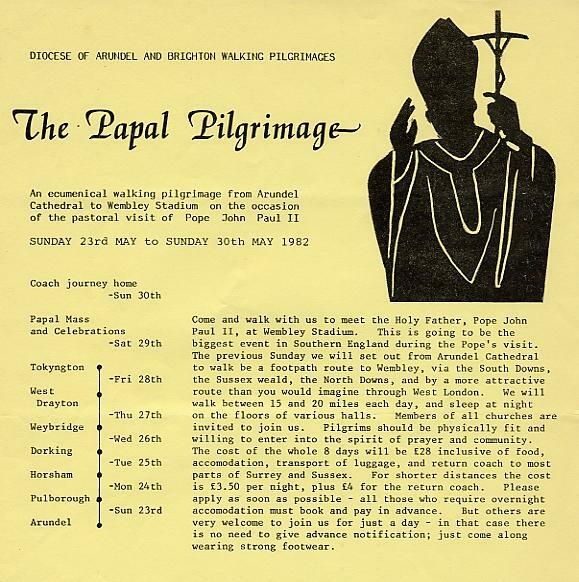 It was also a tricky pilgrimage to plan - the Papal visit was on, then it was off, then the planned itinerary changed from the provisional one (the Falklands War and security concerns being largely to blame). 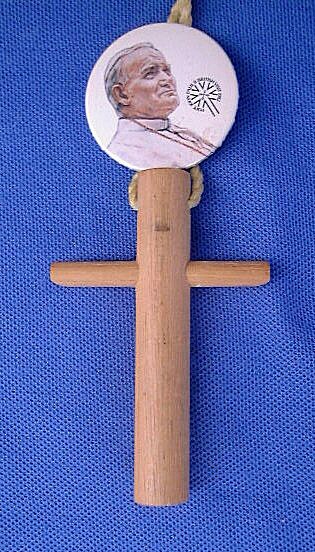 Fr Bill doggedly pursued those organising the visit, to identify the destination and seek tickets for the pilgrims. In the end, we were assigned tickets from the national pool and not from the Diocesan allocation (it's nice to get official recognition! ), and Wembley was set as the venue. But there was much planning to do to get accommodation and routes sorted out in time. 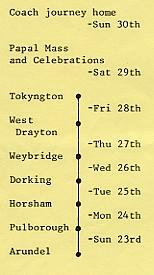 Click on the route to see details of each day, or use the hyperlinks below.